Massacre have something special on their hands here. 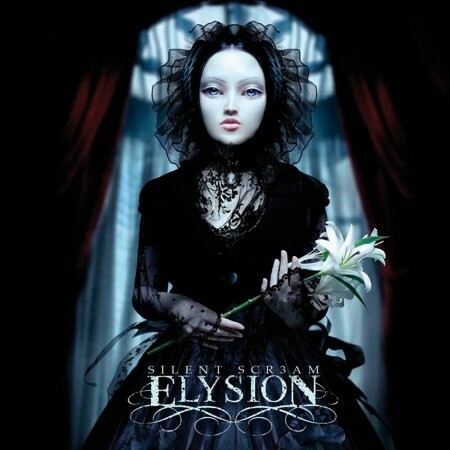 Hailing from Greece and formed in 2006, Elysion's debut album should be an essential purchase for lovers of female fronted Goth/metal bands and also for anyone a little more musically broad-minded. Not as epic in scope or theatrical as the likes of Nightwish or Within Temptation and featuring more of an electronic pop/rock edge, 'Silent Scream' features 11 exquisitely crafted songs whose immediacy is apparent after only one spin. The nucleus of the band was originally guitarist Johnny Zero and vocalist Maxi Nil. Nil left the band in 2008, before work on 'Silent Scream' began, yet all the material on the album features her writing credits, and contributions towards the vocal lines are also mentioned. The strikingly beautiful Christianna joined Elysion as the new singer and her vocals are an essential feature in the overall appeal. Lacuna Coil are probably the most logical reference point but Elysion are no mere clones and have an identity of their own, being less industrial than the Italian band, with some slight techno subtleties permeating the energetic riffs and involving keyboard textures. Christianna's vocal execution is very reminiscent of Cristina Scabbia but fortunately we have no annoying male vocals to contend with! Most of the tracks, between 3 and 4 minutes in length, drive along with a nice tempo, typified by the likes of 'The Rules', 'Loss' and 'Never Forever'. Deftly blending guitar and keys alongside a pumping rhythm section, its the quality of the songs that grab the attention rather than any individual performances, and the emotional atmospherics of 'Bleedin', 'Weakness In Your Eyes' and 'Far From The Edge' balance the album out nicely. Obviously Christianna's beguiling delivery, alongside her beautiful looks, will make most people sit up and take notice, but nothing should be taken away from the other members of the band. Johnny Zero's guitar solos figure prominently amongst the mesmeric melodies and it's to his songwriting credit that such an impact is made. Closing track 'Erase' is the longest track on 'Silent Scream' and simply brings all the ideas from the rest of the CD together into a breathtaking finale. Recorded and mixed in Athens but mastered in New York by Ted Jensen, who is renowned for his work with artists of a much higher profile, the sound has an expensive feel that just expands on the existing quality. Massacre have something special on their hands here and I for one hope that the project lasts longer than this one excellent album.